Romantic and poetic…Marvelous proposition for spending a romantic evening or celebrating a wedding anniversary. 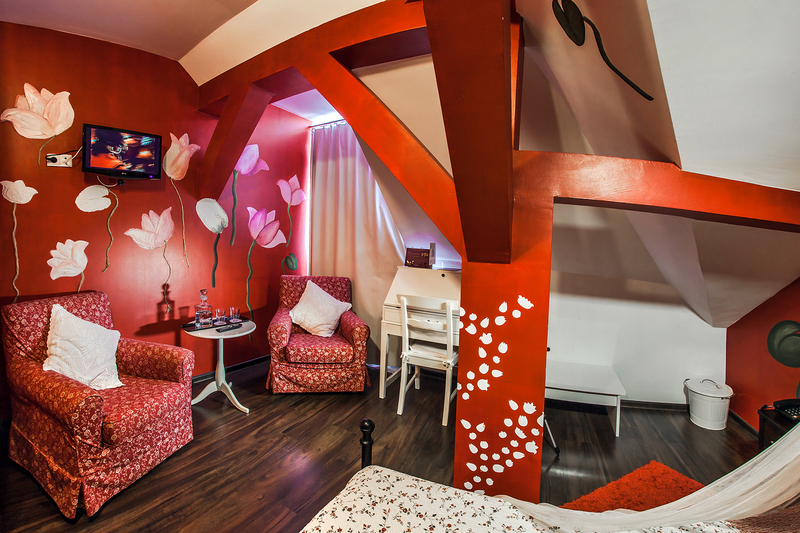 Four-poster bed, comfortable armchairs, charming white furniture and hand-made lotus flowers on walls. Room with a view on Swietojanska Street.